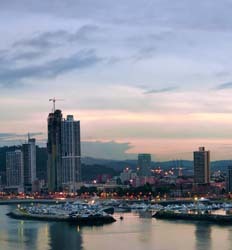 With so much cultural and natural diversity there is really no way you can get to know Panama without venturing outside of Panama City. Our Activities Specialists have teamed up with some of the best local guides in Panama to take you through all the best regions in the country accessible in only 7 days. Before hitting the road on this multiple day adventure, we will ensure you hit all the main highlights of Panama City and the Panama Canal. From there we will journey first to the lush and green Anton Valley (El Valle de Anton), the beautiful pacific beaches and hidden surfing town of Santa Catalina and the Coiba National Marine Park, and finally the Adventure Capital of Panama; Boquete. There are a myriad of optional activities available in each region allowing you to customize your trip to be the perfect adventure vacation just for you! As we want to ensure you have the most intimate experience with the nature and culture that Panama has to offer, we specialize in small group tours limited to just a handful of guests. Departing one week every month, you will want to contact us well in advance to ensure we can accommodate your schedule and to check available space. We would not want you to miss out on the opportunity to explore all the best our country has to offer. Join us for an unforgettable 7 day journey across the Isthmus of Panama and experience all the highlights this beautiful country has to offer. Tropical Cross-Country Safari deposit is $100.00 per person. This tour departs once a month, please contact us for the availability.